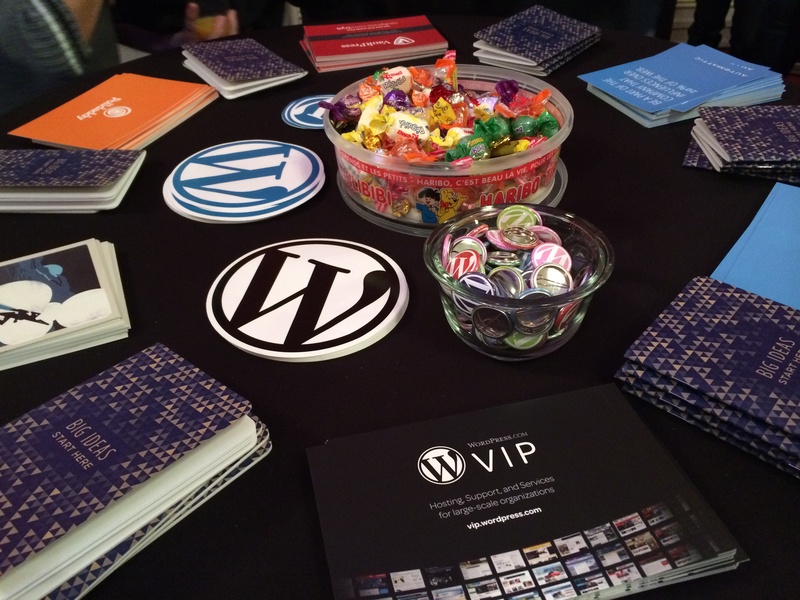 From cutting-edge conferences to local WordCamps, we had an exciting year full of WordPress-sponsored events. Let’s take a look at some of the exciting gatherings we participated in in 2013 — and some of those we look forward to in 2014. We kicked off 2013 with a mission to sponsor, attend, and speak at some of the world’s most exciting blogging and technology conferences. We wanted to connect with you — our users — by making our team available for live questions and support. And we’re always excited to hear more about all the innovative ways you are using WordPress. Today, we’re happy to report that we accomplished this goal. Over the course of last year we sponsored thirty-four events in twenty-five cities across eight countries. At many of these events we programmed a hands-on workshop, led a session, or contributed to a panel. Throughout the year we met a diverse group of bloggers, designers, and developers who share our interest in making the web a better place. We had an amazing time. With great conferences comes great swag. Our 2013 events lineup started with the Modern Language Association Convention in Boston and wrapped up at dotJS in Paris. Our calendar filled up quickly: we got animated with folks at SXSW in Austin, delivered some Happiness at BlogHer in Chicago, and served up some high-definition treats at the International Food Blogger Conference in Seattle (just to name a few). We’re gearing up for another big year in 2014. We kicked off the festivities in January with Happiness Bars at NMX and LA Uncubed, and in March we’ll be expanding our reach into conferences in Africa (CMS Africa in Nairobi, Kenya) and South America (JSConf in Montevideo, Uruguay). We look forward to engaging with users in more regions around the world! Stay tuned, as there are more to come! Beyond our sponsored conferences, you’re sure to find Automattic CEO and Founder Matt Mullenweg listed as a keynote or speaker on the schedules of other outstanding conferences and events around the globe. Many Automatticians — the people who bring you WordPress.com — also plan and participate in WordCamps. 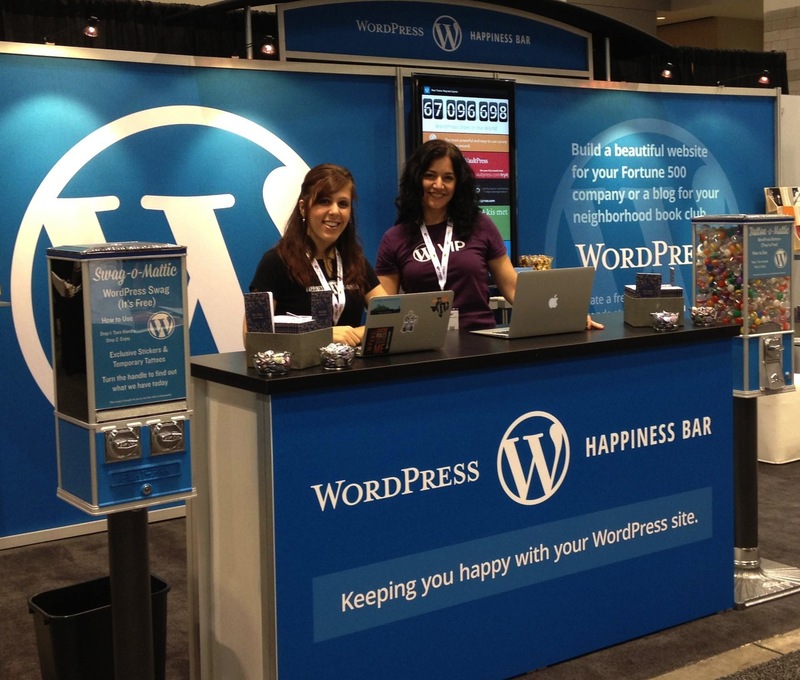 These are informal, community-organized events that are put together by WordPress users. Everyone from casual bloggers to core developers are invited to show up, share ideas, and get to know each other. In 2013, there were no fewer than 71 WordCamps attended by over 19,000 people. We hope many new faces will join us this year. We’ll keep you posted about our sponsored events in 2014 — it’s going to be a year to remember! This is what I would hope for in my area of the world. WordPress in Luxembourg! We are a tiny country, but chock full of sharp brains and dynamic bloggers. The images don’t seem to be showing on this post. There seemed to have been an issue with the images when the post was first published, but they should show properly now. Thanks for letting us know! I attended Word Camp Miami last year and it literally changed my life. Highly recommended! Don’t forget US East Coast … DC would be nice! Great! Miami is a good place for the shindig. Keep that in mind. I’d like oit much better if it contained news of your intentions to come Downunder. And to learn you’re about to hit Kiwiland …! So I don’t understand how it is I knew nothing at all about YOW! Where should I be looking for this kind of publicity, Rebecca? We are working on a calendar where users can stay up to date on what events we’ll be at and when they are being held. Stayed tuned here and on our socials for more information! Oxford, UK, is already sold out! Thanks! We’ll be bringing our Happiness Bar to the SXSW tradshow next month! Also, there are several great WordPress meetup groups across Texas! We’ve actually sponsored a few Chicago events including Techweek, php[tek], and CMS Expo. The local WordPress community also puts on a terrific WordCamp each summer. This year’s WordCamp Chicago is happening June 13-15. Hope to get involved with even more events in the future! Hope you guys can come to North Carolina. WILL YOU EVER CONSIDER MEXICO?….WE NEED YOU….! not too many bloggers down here! Pending the right event comes up, sponsorship of an event in Mexico is definitely a possibility! If you see a need for more bloggers in your local community, you should consider starting a WordPress meetup group. That’s a great way to bring together people interested in getting more involved. I encourage you to check out http://wordpress.meetup.com/ to see what other communities around the globe are up to! We don’t sell the buttons at this point. However, they are usually available for folks to grab at WordCamps and our sponsored events. If you’re interested in other WordPress gear, you should check out the official swag store. You’ll find some great WordPress branded t-shirts and accessories. Thanks ever much…I will check out the swag store, and hope a possible Wordcamp comes by New York in 2014. fingers crossed. Thanks again Rebecca. Are you likely to come to Australia this year? Hi Barbara, we sponsored YOW! back in December and we are always on the lookout for other great events in Australia. Also, I know that both the Sydney and Brisbane WordPress communities have talked about the possibility of hosting WordCamps in the later part of 2014! HI the next wordcamp will be held where. You can find the full list of WordCamps past, present and future at http://central.wordcamp.org/. Please come back to Boston! I’ve been blogging for a year and would love to convene with fellow bloggers to learn more. We’re always on the lookout for conferences in the area. For WordPress specific events, Boston has a great local meetup community and they host a WordCamp each year! This is amazing, great job! Please come to New York!! We’ve yet to sponsor an event in the UAE, but we are open to it should the right conference come along! Remotely, is any country in Asia in your horizon? We are definitely looking into conferences happening in Asia. For WordPress specific events, I recommend that you have a look at WordCamp Central. There are several WordCamps around Asia each year! Any chance of coming to London? I know you said Oxford but it’s a bit far for me! Sounds like a awesome event to attend! We are always on the lookout for events to get involved with in the UK. Hopefully we’ll be back in 2014! I recommend that you check out the WordPress meetup page and WordCamp Central for WordPress activities happening in India. If there is not already an established meetup group in your area, you should consider starting one! Hi! I’m from Monterrey Mexico and we are pulling an event in October, is a university congress where we bring many different topics to make workshops, I was wondering if I could have a word with you it would be AWESOME to have you guys with us, please let me know any answer. Thanks for your inquiry. I’ve sent you an email requesting more information on your event. I hereby volunteer to go as a motivational speaker to any and all of those events, especially the ones in exotic locales. I am prepared to waive my usual humongous speaker’s fee and merely charge expenses – that’s how much I love WordPress. Please come to South Africa. We would be happy to host you.